Any iOS gamers looking to play the first-person shooter “Deus Ex: The Fall,” will be surprised if they have downloaded the app on a jailbroken device: the developers have opted not to allow firing of guns, the game’s essential fun factor. As Kotaku reports (via MacRumors), the phenomenon was signaled by Redditor KipEnyan who checked with other sources as well. 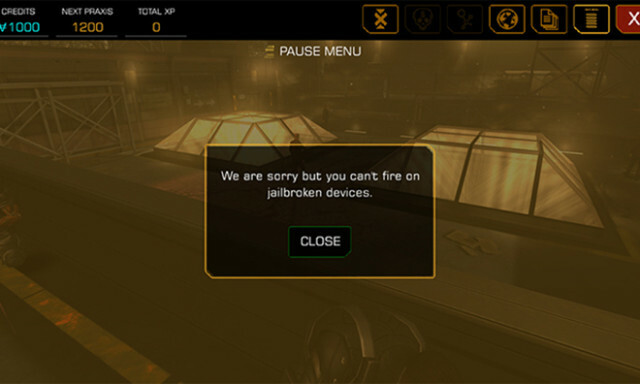 Encountered by Redditor KipEnyan and verified by several user reviews in the app store, jailbroken players starting up the first mobile installment of the Deus Ex series are treated to a few cutscenes and a movement tutorial before running into the message above. It comes up during the game’s shooting tutorial, and while one would assume players could still stealth through the game, I’m not sure they can progress beyond that point without tranquilizing those guards. A possible explanation for the developer’s move is to fight piracy, but there are lots of folks who are running jailbroken devices, and first of all, jailbreak doesn’t equal piracy. 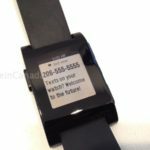 Jailbreak leaders like Pod2g have emphasized over a million times that they are against piracy, and jailbreaking shouldn’t be associated with piracy. However, jailbreakers who shelled out $6.99 to play this game have been caught in the same situation as the pirates, but this isn’t the first time. It remains to be seen whether this will be a trend or not. Are you willing to give up your jailbreak if developers adopt these kinds of tactics to stop pirates?